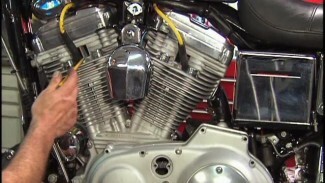 If your Harley cruise control has an issue, there is an interactive cruise diagnostic test that can be performed on the motorcycle without the need or aid of any diagnostic service scan tools or computer. 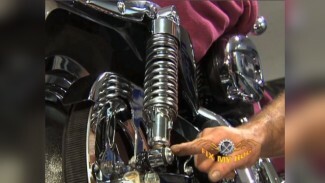 The Harley cruise control function is governed by the motorcycle’s ECM. The ECM monitors the vehicle speed sensor (VSS) to establish the bike’s current speed. The ECM then modulates the throttle control actuator to maintain a constant vehicle speed. When cruise control is enabled, the orange cruise lamp will change to green. The ECM monitors the engine RPM and the output signal from the vehicle speed sensor. Then, the ECM signals the throttle control actuator to open or close the throttle to keep the speedometer output speed signal constant. – RESUME/+ switch is held in until motorcycle speed goes above ninety three miles per hour. Bob and Mark give us a sequence demonstration for entering and moving through the cruise diagnostic mode. The illuminated amber/orange cruise light changes to green for every tested function. The most common reason for inoperative or intermittent cruise failure is from a broken or misaligned front brake switch. If your cruise is not working, look behind you. See if your brake light is stuck on. Could be an easy fix. The brake error codes should be leading the dealer to the root of the issue. These errors are the reason for your cruise control issue. Typically a tech should be able to look up a code and follow a flow chart in the electrical manual for your year & model to come up with a definitive diagnosis. You’ve already diagnosed your cruise control issue; there is something wrong in your brake light circuit. That is what you need to diagnose. Inspect function of your front & rear brake lights. Make sure that your front switch is not sensitive. If the brake light can be triggered by vibration, it will cancel your cruise. This is common with aftermarket levers or if the front switch has become damaged. Recently I had an issue with cruise control on 2017 Ultra Glide when the gear position indicator developed a fault. The display would no longer show which gear the bike was in. It would only display a neutral light and when riding cruise control could not be activated. It was only fixed after the sensor was replaced. Just some fyi. Nice site btw.. I have a 2013 Anniversary Road King. I was on a trip last year and the cruise disengaged while riding and has not worked since. 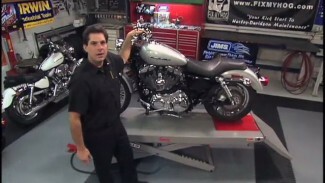 Should the procedure you outline to show cruise trouble codes work on a 2013 Road King. The reason I ask is that I have tried them and they do not seem to work on my bike. Correct, the cruise diagnostic test we demonstrated does not pertain to your 2013 Touring model. Most common reason for cruise issues is, broken front brake switch. Or brake light staying on. Check that 1st. From there, we suggest checking for possible stored diagnostic trouble codes 1st. If there are no clues there, we would begin by testing the cruise control switches with a test light or multimeter. RK I followed the video and all checks where good. But on my last ride I would set the cruise control lamp would go to green and hold for a few seconds the kick out and go to red. Any suggestions? Most common reason for cruise control issues is a front brake switch issue. 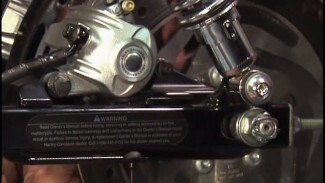 Check your front brake switch. Make sure the brake light does not flicker on with the vibration of your motor. My 05 rkc the set/res switch makes it green, nothing else does.. ideas?